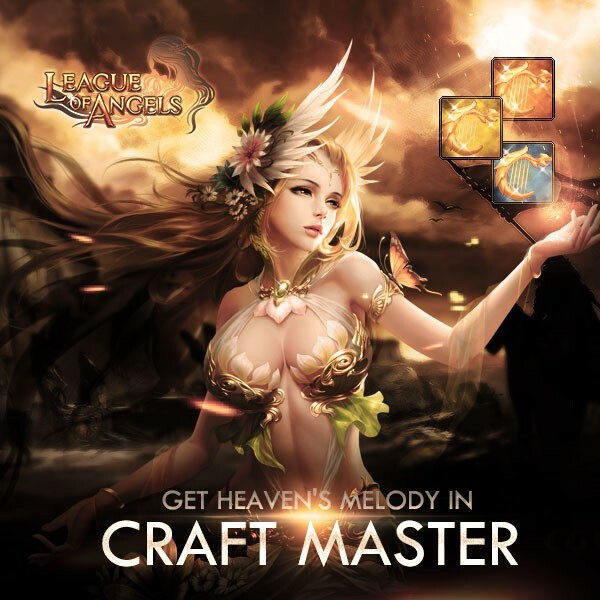 LoA_Enjoy Craft Master and Win Heaven's Melody! There are three scenes for player to choose to start archaeological expedition, namely, Grand Library, Dusk Prison and Cloud Palace. For each scene, player will get different fixed output and random output. The fixed outputs are Epic Origin Crystal( Grand Library) , Legendary Origin Crystal (Dusk Prison) and Mythic Origin Crystal(Cloud Palace). The random output may include above origin crystals and Philosopher's Stones. Each exploration requires the chance of Attempt and certain amount of Energy, and different scenes require different amount. Player can get certain amount of Attempt and Energy for free, and extra Attempt and Energy can be obtained by using Vouchers or diamonds. - Players can explore one of three scenes for a chance to discover and identify lots of crafting materials. - Use crafting materials found to craft many different items in the event panel. - Philosopher's Stone will disappear when the event ends. After collecting specified materials, you can craft certain items, including Iron Wings Shard, Vitamin, Magic Socketing Rod, Awakening Stone, lvl. 10 Common Gem Chest, Lvl.9 Fusion Gem Chest, Lvl. 10 Cherubstone, Lvl. 11 PATK+Hit Gem, Lvl. 11 MATK+Crit Gem, Lvl. 12 HP+PATK Gem, Lvl. 12 Agility+Hit Gem, Skill Book-Swift Blade, Skill Book-Thunder Strike, Ungodly Soul and many more. Every day the Top 20 players with at least 500 points from previous day can get Dragon Tamer Card(20) and Legendary Origin Crystal. At the end of the event, the top 20 players with at least 3500 overall points have a chance to win Perfect Philosopher's Stone, Celestial Origin Crystal and Mythic Origin Crystal. 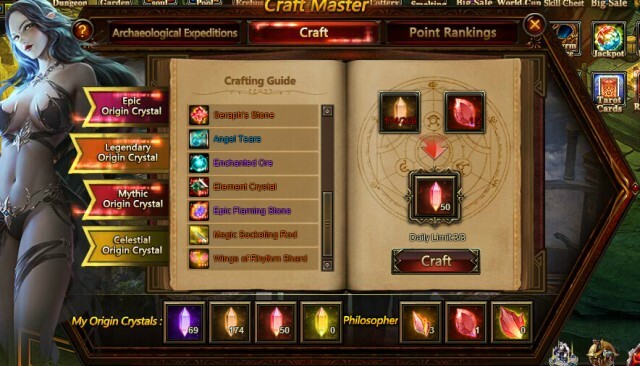 Description: More Craft Master Points more rewards! More exciting events are coming up through Aug 26 to Aug 29 (Server Time), check them out in the in-game Hot Events menu now! LoA_Lucky Tree: Get Divine Emblem and more items! LoA_The 17th Cross-Server Tournament Starts on Aug 26! LoA_Group Buy: Up to 70% Off! LoA_Play Wheel of Luck to Win Hot Items! LoA_Moonlight Warlord Grants You Power in House of Cards! LoA_Navigation King: Sail Away to Seek For Treasure!